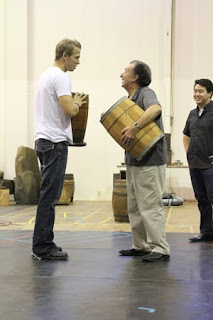 Seattle Opera Blog: CARMEN: First Photos from Rehearsal! 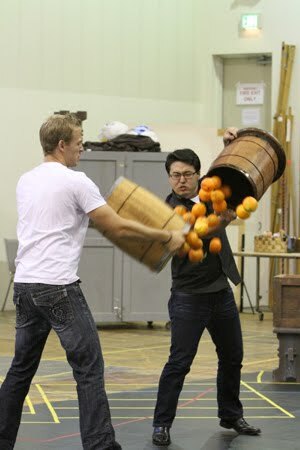 CARMEN: First Photos from Rehearsal! Rehearsals for Seattle Opera's upcoming production of Carmen kicked off last week, and we have a peek inside the rehearsal studio for you. Check out these photos below for the first look at our two wonderful casts, and come back soon to read Q&As with our artists, as we get to know them better in the days leading up to October 15! 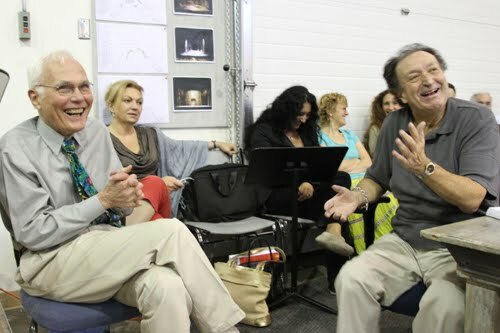 Seattle Opera General Director Speight Jenkins and Carmen Director Bernard Uzan share a laugh during rehearsal. Sitting behind them are both our Carmens:Malgorzata Walewska (Sunday/Friday performances) and Anita Rachvelishvili (Saturday/Wednesday performances). Georgian mezzo-soprano Anita Rachvelishvili, who makes her Seattle Opera debut on opening night as Carmen, works with director Bernard Uzan. Mexican tenor Fernando de la Mora (making his company debut as our Sunday/Friday Don José) reels in his Carmen, Polish mezzo Malgorzata Walewska. Director Bernard Uzan gives Seattle Opera Young Artists David Krohn (Dancaïre) and Andrew Stenson (Remendado) some blocking involving delicious Seville oranges. 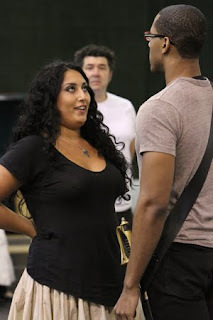 Anita Rachvelishvili (Carmen) and bass-baritone Donovan Singletary (Zuniga), with Mexican tenor Luis Chapa (our opening night Don José) in the background. Singletary made his Seattle Opera debut earlier this season as Jake in Porgy and Bess, and Chapa will make his U.S. debut in Carmen. 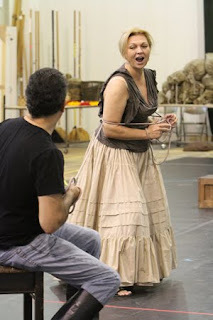 Anita Rachvelishvili (Carmen) and Luis Chapa (Don José). 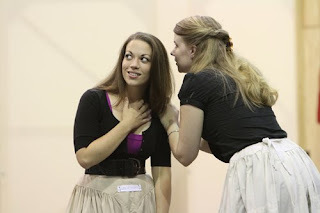 Seattle Opera Young Artists Amanda Opuszynski (Frasquita) and Sarah Larsen (Mercédès).